UK politicians are due to vote on Tuesday on an EU divorce settlement. But with less than three weeks to go before Brexit day on March 29, it is still unclear whether the deal will be approved, whether departure from the EU will be delayed, or whether it will happen without agreement. The report by New Financial is one of the most detailed yet on the impact of Brexit on financial services. It said Dublin alone accounted for 100 relocations, ahead of Luxembourg with 60, Paris 41, Frankfurt 40, and Amsterdam 32. 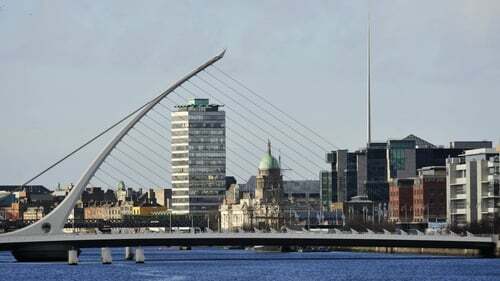 The independent think tank said half of the affected asset management firms, such as Goldman Sachs Investment Management, Morgan Stanley Investment Management and Vanguard, had chosen Dublin. Luxembourg was the next port of call, attracting firms like Schroders, JP Morgan Wealth Management and Aviva Investors. Nearly 90% of all firms moving to Frankfurt are banks, while two-thirds of those going to Amsterdam are trading platforms or brokers. Paris is carving out a niche for markets and trading operations of banks and attracting a broad spread of firms. New Financial also identified 5,000 expected staff moves or local hires, a figure that is expected to rise in coming years. A better measure of Brexit's impact is the scale of assets and funds being transferred, it said. Ten large banks and investment banks are together moving £800 billion of assets from Britain - or 10% of banking assets in the country. A small selection of insurers have shifted a combined £35 billion in assets, and a handful of asset managers have moved a total of £65 billion in funds. "Business will continue to leak from London to the EU, with more activity being booked through local subsidiaries," William Wright said. "This will reduce the UK's influence in European banking and finance, reduce tax receipts from the industry, and reduce financial services exports to the EU," he added. A 10% shift in banking and finance activity would cut UK tax receipts by about 1%, the report said. London will remain the dominant financial centre for the foreseeable future, but other European cities will chip away at London's lead over time, it added.